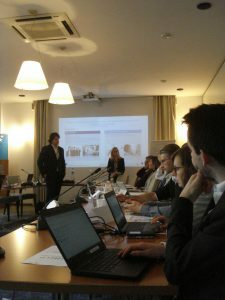 DIHELP Academy launched its activities with a Kick-off meeting in Brussels on 20-22 March. 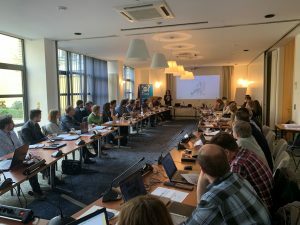 The DIH Academy gathered more than 60 participants from 30 Digital Innovation Hubs from 17 countries. In the nine months to follow, DIHELP Academy will train 30 Digital Innovation Hubs. The purpose of this meeting was to start the coaching for DIHs towards the development of sustainable business models and a clear roadmap for implementation. On first day, a keynote opened the three-day training by providing an international perspective on digital innovation management. 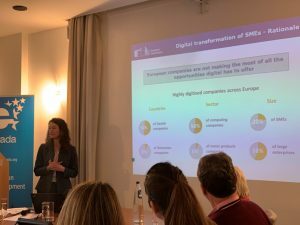 In the afternoon, Andrea Halmos of DG CNECT presented the European Commission’s vision for Digital Innovation Hubs and outlined their role in digitising EU industry. She also pointed to potential future EU funding opportunities for DIHs, such as the Digital Europe programme. 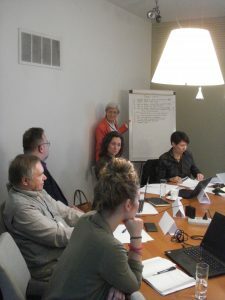 Participating DIHs were then divided in several working groups to meet each other and work in depth in the different building blocks of their business models. With the guidance of the coaches, they analysed customers’ needs and worked on pitching their DIHs vision. Before a networking dinner, DIH representatives presented their vision to the entire audience during a closing round of pitches. On the second day, DIHs focused on communication channels, delivery, leveraging of stakeholder relationships, resources, costs and revenues, financing plans and governance structures. 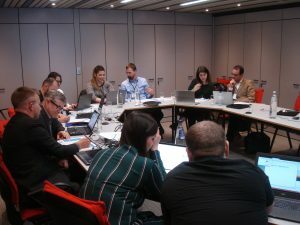 During the third day of the meeting, DIHs leveraged on the work of the previous days to develop their unique Business models canvases and roadmaps. 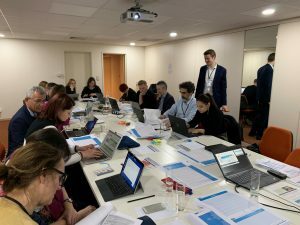 Overall, during these three days in a studious but friendly atmosphere, participants learnt about the latest digital innovation management approaches to support SMEs and discovered insightful and hands-on tools. 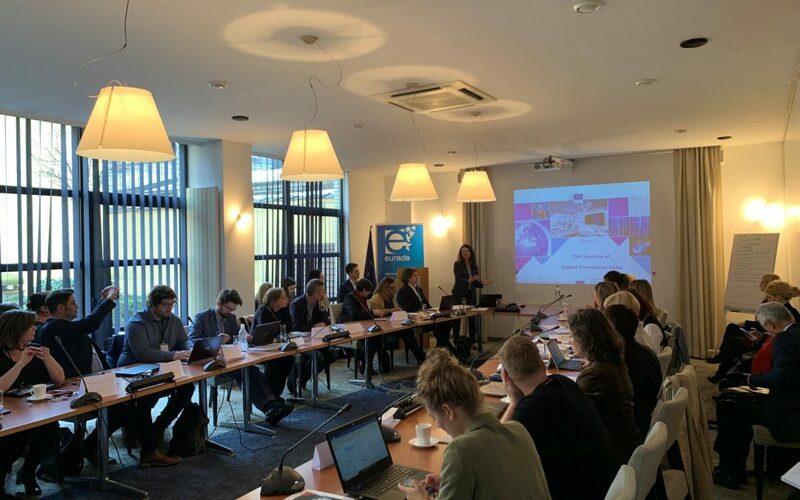 The DIHELP Academy kick-off also provided a great opportunity to network, build or strengthen relations with other DIHs and exchange good practices. The business models and roadmaps developed will be used as a starting point to build on during the subsequent nine months of the DIHELP Academy. Follow us on Twitter @EU_DIHELP.